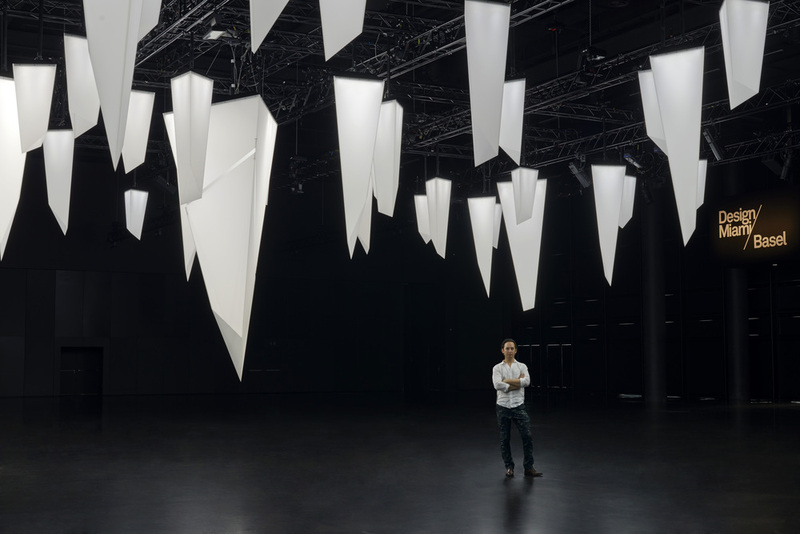 Triangular Series is a site-specific lighting installation composed of numerous, truncated tetrahedral forms. Each object is an individual. They can sense each other and the physiological rhythms of beings beneath them. Aliens of a sort, their respiration is a movement of light. Like the cells in our hearts and the clocks on our walls their rhythms affect each other through the process of entrainment. 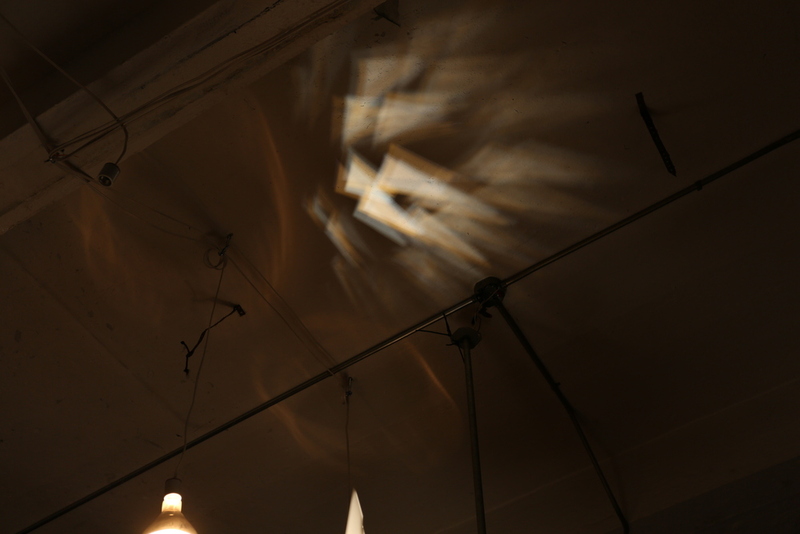 The result is an emergent, undesigned dance of light from the ceiling swarm and triangular projections below. Growing on the boundaries of human movement paths, they interact with the cohabitants of their space. Walk beneath them and you become part of a new, syncopated dialog—an autonomic communication with the other. 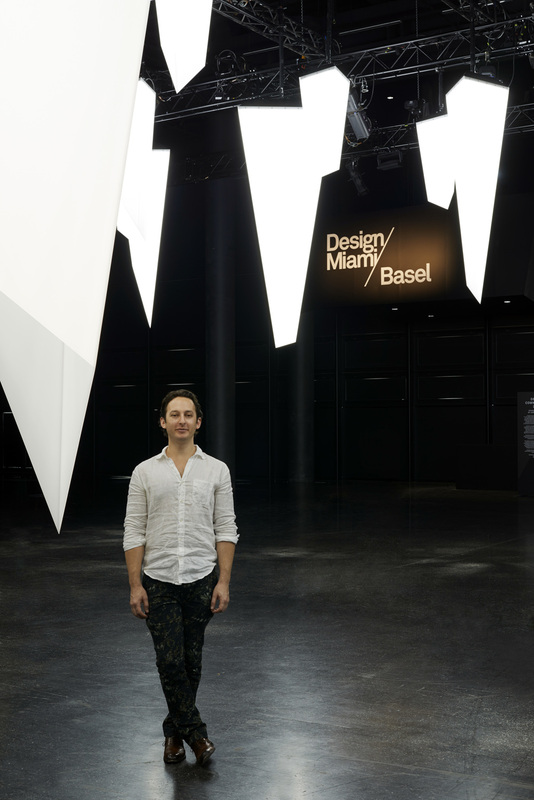 Triangular Series was commissioned by Design Miami/ Basel and debuted June 16th, 2014 in Basel, Switzerland. 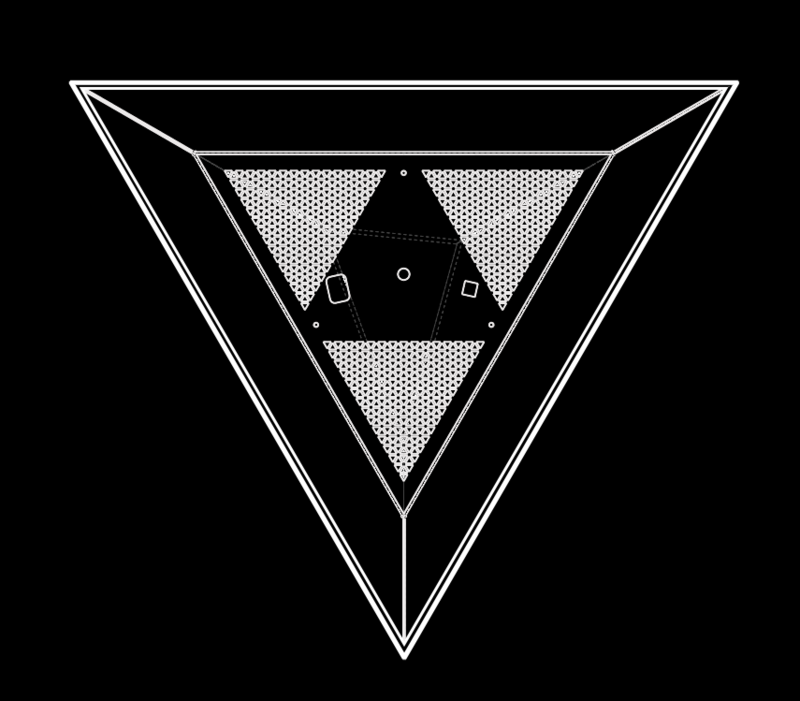 Triangular Series was created by Jamie Zigelbaum with the help of Jon Moeller, Allison Wood, and Jimmy Tran of Midnight Commercial and Yotam Mann. Special thanks to: Michael Adkins, Carl Albrecht, Luna Chen, Alexandra Cunningham, Alexander Dawson, Manuela Donoso, Jamie Gray, Gwylim Johnstone, Dwayne Jones, Dev Joshi, Pat Lian, Jeff Lieberman, Kyle McDonald, JB Michel, Dan Moore, Julian Oliver, James Patten, Kevin Perkins, Chris Sardi, Omer Shapira, Phillip Stearns, Katie Treidl, Bill Washabaugh, Theo Watson, Laura Wickesberg, Design Miami/, ExpoMobilia, Novoglas AG, Dark Matter Manufacturing, Bl, oooshiny, and the MIT Media Lab. Thanks to Perspex for supplying the Spectrum LED 1TL2 acrylic used in the Design Miami/ Basel installation. Triangular Series is informed by two unfinished prototypes from my former studio Zigelbaum + Coelho: Pulse and Vallo. 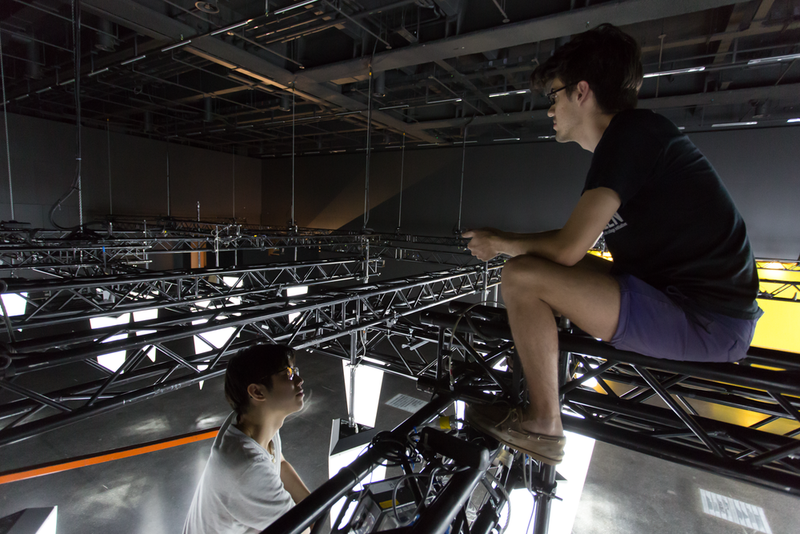 Thanks for help on these projects to The Creators Project, Intel, Doug Carmean, Margaret Morris, The Industry Lab, Alan Argondizza, Mike Shonle, Elad Ozeri, Dave McCoy, Erik Formella, Brian Chasalow, Brenton Elledge, Alizee De Pin, and to Marcelo Coelho for introducing me to the concept of entrainment.